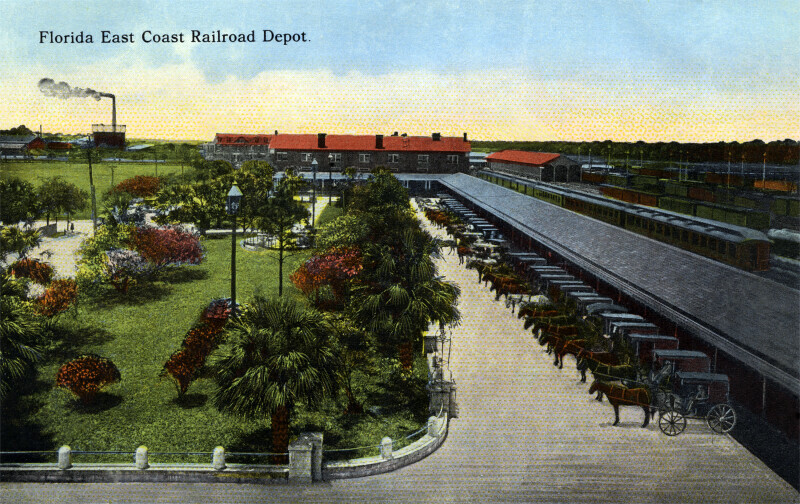 To the right, the long, single story building is the train station for the Florida East Coast Railway. There are horse-drawn carriages parked outside the train station. There is a park, to the left, across from the train station. The park is bordered by a concrete and metal fence. Along the right margin, several trains are visible.